I had an NDP sign on my lawn this month, but I didn't write an editorial telling you how to vote. Some will still call me biased and claim my coverage of the election was therefore unfair. I say it was both biased and fair. The myth of an unbiased press is just that — a myth. Journalists have to make decisions about every aspect of every story they write. They must decide what to say first, which source to add later and what voices to omit entirely due to lack of space. We make these decisions based on our own judgement of the world — in other words our own bias. Ignorant, amateur and sometimes arrogant journalists will claim to be unbiased, and are therefore blind to their own prejudices. Professional journalists recognize their prejudices and compensate by being as fair and balanced as possible in their reporting. And by fair, I mean fair to the readers, not the source. An election creates a particularly difficult challenge for professional journalists. The crazies come out to play at election time, including more than a few political groups and candidates. Treating all of these voices equally might be fair to them, but not to the readers. I focused on the main players in this election and tried to balance coverage. That is why I put the leaders of both the UCP and NDP parties on the front page when they visited. The other leaders didn't visit, and therefore didn't get coverage. Finally, I really do have to point out that every other media source is also biased and most are far less fair than I am. Canada's major newspaper and television owners openly support conservative parties, including the UCP. Not only have they published editorials telling you how to vote, they have suppressed or distorted bad news about their favourite candidates. Last, but not least, I have never and will never allow advertising on my front page. Nor will I allow a fake front page wrap around my paper. That space is for news and belongs to the readers. Selling that space is selling out, and, whatever my critics might say, that I have never done. Vegreville small business owner Jackie Armstrong-Homeniuk is Fort Saskatchewan's new MLA. Armstrong-Homeniuk took all but four polls in Tuesday's vote, winning 13,623 votes with 94 of 96 polls counted as of 7:00 a.m. Wednesday morning. Incumbent NDP MLA Jessica Littlewood was in second place with 7,445 votes, while Alberta Party candidate Marvin Olsen received 3,253 votes. 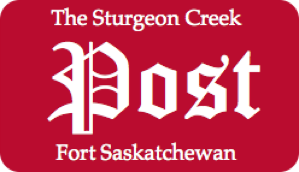 The four other candidates competing for the Fort Saskatchewan - Vegreville seat were far behind, with just a couple of hundred votes each. Results are far from being final as of publication, as votes cast in advance and at locations outside the riding will not be counted until after noon on Wednesday, April 17. There were 1,248 votes were cast this way. The change in local representation mirrored a change in government in Alberta, with the UCP taking more than 60 seats seats to form a majority government. The NDP also lost both the Sherwood Park and Strathcona - Sherwood Park seats, but kept all but one seat in Edmonton, and that vote was close and therefore may still change when all the counting is done. The NDP also held several Calgary seats, with several close races there that may still change. Armstrong-Homeniuk says that Fort Saskatchewan will still get a new bridge even under the new UCP government, but leader Jason Kenny has promised to eliminate most other NDP programs, which puts several local industrial projects in question.